Dwarka Sector 6 DDA having wires hanging from electric poles, dying trees, garbage lying around, missing gates, walls full of posters etc. Now, with efforts of Ek Sangharsh the scene of the park has changed. Actually, Ek Sangharsh team had inspected the park in the first week of May and recorded the observations. Later, few members of Ek Sangharsh met the Deputy Director, Shri Prem Chand and Assistant Director, Shri Y D Sharma and explained the worst condition of the park. Even a request letter was also handed over to the concern official for immediately action. Ek Sangharsh believes in taking the first step towards the desired changes so on 19th May 2012, the Ek Sanghrash team reached the park at around 5:30PM for a Cleanliness Drive. 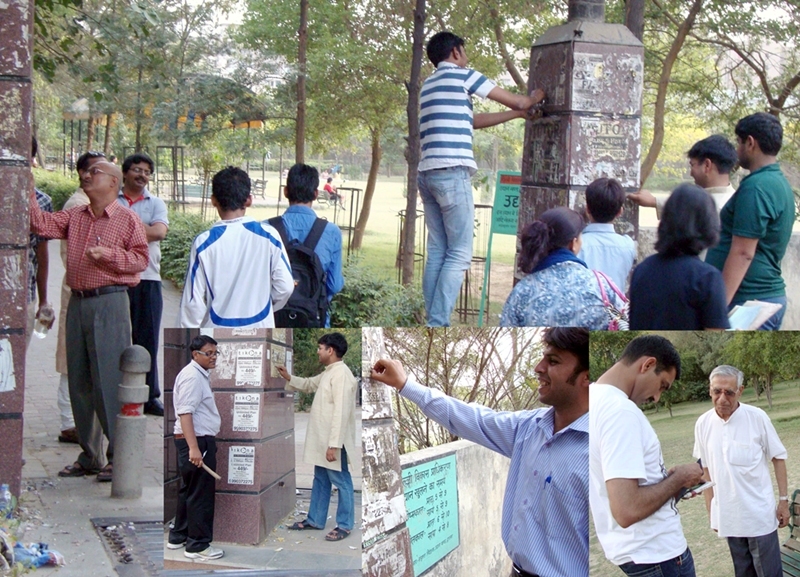 The entire team worked for about 2 hours and able to remove the posters which have defaced the main entrance of the park . Mr. Mukesh Sinha, Social Activist also joined this initiative & appreciated the efforts of Ek sanghrash.